Lance and Allana getting mixed up over who has the tickets. The police inviting Toadie down to the station for a chat. Libby telling Drew about an information meeting about adopting. Libby is explaining to Drew things that might happen at the meeting about adopting but he is nervous about it. 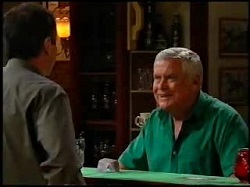 Lou wonders if Karl notices anything about his beer as he is trying to win a pub competition. Lou asks Karl if Susan is ok, as he has heard the rumours about her. Karl wants to know where he heard the rumours. Lou said he overheard a conversation and doesn't believe the rumour. Karl asks him not to say anything to Susan. Joel, Toadie, Lance and Allana are discussing why Toadie is in trouble with the police. Lance asks what happens if he is found guilty. 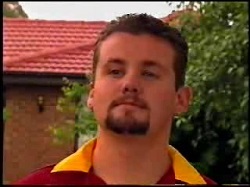 Toadie says if he is found guilty he won't be allowed to become a lawyer. Madge and Harold are discussing arrangements for when they are in Paris. Madge isn't eating and Harold is concerned. Harold shows her the tickets and she is amazed that they are business class ones. Harold tells him Lou paid for the upgrade from economy to business class. Steph is wondering what Lou has done to the beer as it doesn't taste nice and asks for a bottle of beer instead. Steph is still fretting over which person to sack. Dee says she should ask Lou for advice before asking where they are going to head to so they can find some decent men and some decent beer for Steph. Harold and Madge have been watching television, but she has fallen asleep before the end. Harold switches off the TV and just watches her. Toadie is on the phone looking for legal advice but the person won't help him. Joel wonders what they can do to celebrate Lance's last day. Lou is looking at Steph's figures trying to help her avoid sacking someone, but the books say she has to let someone go. Steph says she likes both of them and can't decide between them. Lou explains what might happen if she doesn't sack someone – the deliveries might get contracted out and more people might lose their jobs. He tells her to make it clean and don't say it in front of others to give the bloke some dignity. An official from the education department (Dave Walsh) comes to give Susan official notice of the complaint against her and she has three days to respond. Susan asks who does she tell her story to? Toadie, Joel and Lance are still deciding on what to do to celebrate. They can't decide and Lance offers to make a pizza instead. Susan is telling Dave Walsh her version of what happened and he says the best thing she can do is to get a witness. Susan asks what if she can't. He doesn't answer but by the look he gives Susan starts to worry. Libby and Drew are taking about adoption when Karl comes in. They end up telling Karl about possibly adopting but Karl says can take time and a lot of money. When Libby leaves Karl tells Drew he shouldn't be sweet talked into something he really isn't up for. Lance, Toadie and Joel are playing ‘lets find the can of beer that has been shaken'. Lance has the can and gets covered in beer when it explodes. Madge and Harold come round to wish Lance well. Susan is reading the letter of complaint Dave Walsh gave her and tells Karl that Dave is behind her. Karl says they are only going through the motion but Susan is worried because the letter will be on her file. Karl tells her not to worry but Susan is especially after he suggested she find a witness. Karl suggests that they go say farewell to Lance to take her mind off it. The farewell party is in full swing. Lance is panicking because Allana hasn't arrived yet. Susan and Karl come in offering their wishes and from Anne and Billy too. Allana eventually turns up and Lance gives his farewell speech and gives Joel and Toadie farewell presents. 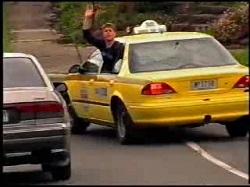 Lance gives everyone a hug before Allana and he get into the famous yellow departure taxi as everyone waves them off.